These symptoms could be signs of spinal stenosis and degenerative spondylolisthesis. 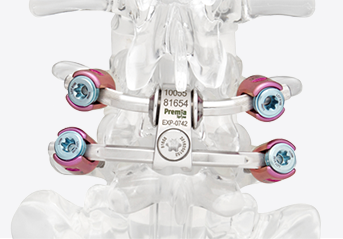 The TOPS™ System is a dynamic implant which stabilizes the spine without rigid spinal fixation. The TOPS is implanted at the diseased level (typically L4-L5, L3-L4, or L2-L3) following decompression surgery to alleviate pain stemming from spinal stenosis and degenerative spondylolisthesis. Spinal stenosis is a narrowing of the spinal canal, which causes a pinching of the spinal cord and nerve roots that extend from the spine to the legs. Degenerative spondylolisthesis refers to an abnormal slip of one spinal vertebra in relation to another that causes pain in the lower back and legs. The TOPS™ System is indicated for spinal stenosis and spondylolisthesis from L2 to L5. Pain relief is achieved when your surgeon removes the bone elements that press on your nerves. Upon completing the decompression, the surgeon implants the TOPS System to replace the extracted skeletal structures and stabilize the spine. With the TOPS™ System, clinicians can remove all elements pressing on your nerve roots without concern for fusion to occur—because there is no fusion. 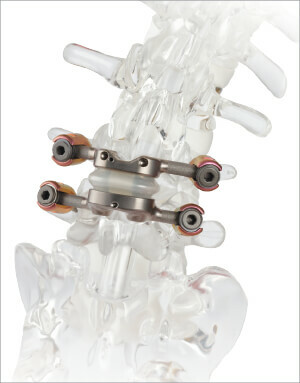 Instead of permanently locking two adjacent vertebrae, surgeons allow the two vertebrae to continue moving normally with the support of the TOPS™ implant. 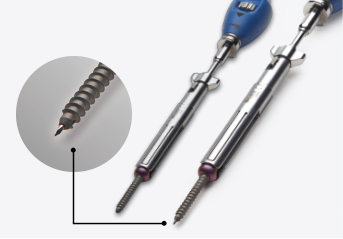 The TOPS™ System allows full motion at the operative level, while prohibiting excessive twists and turns. The result is motion preservation, optimum decompression, spine stability, and pain relief. Patients typically experience immediate pain relief post-surgery. Most patients are on their feet and walking the next day, and claim they haven’t felt so pain-free in years. As there is no fusion taking place in the lower back with the TOPS™ System, there are few restrictions on activity. Full recuperation varies from patient to patient. You can expect an immediate benefit and progressive improvement as you undergo a strengthening and rehabilitation program. In addition, you have the long-term benefit of reducing the stress and strain on the adjacent levels.